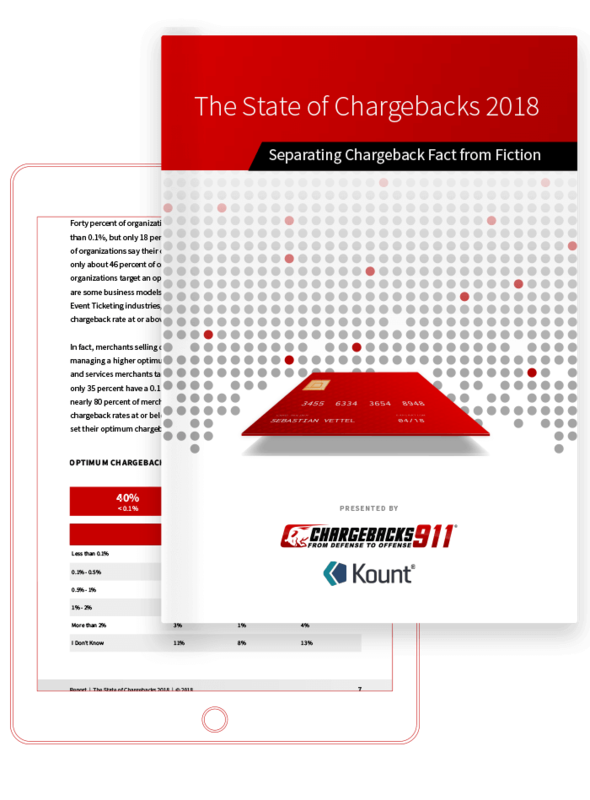 Credit card chargebacks represent a real and growing financial threat to merchants, costing them both merchandise and revenue. To make matters worse, for every chargeback they receive, merchants are also hit with a non-refundable chargeback fee from the merchant’s acquiring bank. These fees are meant to cover the administrative costs associated with the chargeback process, but for the merchant, the immediate result is additional lost revenue. Plus, banks often gauge a merchant’s risk and reliability on the number of chargebacks they receive. Multiple chargebacks on a regular basis can lead to even greater merchant challenges down the road. The chargeback was originally designed to be a consumer protection device, and its existence can be reassuring to cardholders. For it to work, however, merchants essentially become “guilty until proven innocent.” Chargeback fees and reimbursements are deducted from the merchant’s account automatically—no questions asked. Don't Lose Another Dime to Chargebacks or Chargeback Fees. This isn’t to say merchants can’t fight back. Not all chargebacks are legitimate, and merchants should definitely dispute all fraudulent claims. When it comes to fees, however, once a chargeback has been filed, the damage is done: chargeback fees assessed by the acquiring bank are non-refundable. Even if the merchant disputes the chargeback, wins the case, and recovers lost revenue, the fee stands. How much is a Chargeback Fee? 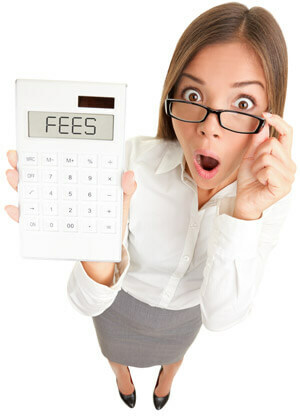 The amount of a chargeback fee can vary from situation to situation. The acquiring bank has a voice in determining the amount, as does the processer. The type of goods or services a merchant offers can also affect the price tag, and there are other factors that can come into play. On average, the fees typically fall somewhere between $20 and $50, although merchants who earn the label of “high risk” can expect to pay much more. Those numbers may not seem particularly daunting at first glance, but they can escalate very quickly. Start adding on the cost of goods lost (not to mention shipping), and chargebacks become a serious drain on merchants’ revenue. Chargebacks—even the ones disputed and won—are black marks on a merchant’s reputation. As mentioned earlier, acquiring banks keep track of businesses who have elevated chargeback numbers (or for some other reason are branded “high-risk”). These merchants are often shuttled into a chargeback monitoring program. Chargeback monitoring requires the payment of another ongoing fee. Certain merchants might receive a grace period before becoming fee eligible, but high-risk merchants are usually hit with fees as soon as they enter the program. Businesses in a chargeback monitoring program are also subject to periodic reviews of their mitigation plan (yet another fee). Failure to reduce chargeback rates could result in higher processing fees or a frozen merchant account. In some cases, the merchant might even be added to the Terminated Merchant File, resulting in a blacklisting by acquirers, possibly destroying the entire business. Chargeback fees and monitoring programs are designed to provide incentive for merchants to reduce chargeback occurrences. Both involve major expenditures on the part of the merchant. The best way to fight back, then, is to try and prevent chargebacks before they happen. There are various steps a merchant can take to help accomplish this. The more merchants are able to standardize their procedures for accepting credit cards, the less likely some error will slip through the cracks. Businesses can mitigate the risk of chargebacks simply by establishing and updating protocols and strictly following business best practices. Using the Address Verification System (AVS) and consistently collecting CVC2/CVV2 verification codes, for example, should be standard procedure on every order taken. This will help protect against card not present fraud. Also, best practices should not be considered stagnant. Chargeback guidelines are altered and updated regularly; merchants need to remain vigilant about monitoring regulations and adjusting internal procedures to reflect the most recent rules. Errors and oversights still happen, of course, despite a merchant’s best intentions. In fact, chargebacks caused by merchant error account for a significant portion of all transaction disputes—as much as 40%. That’s why Chargebacks911 created our exclusive 106-point Merchant Compliance Review. By assessing a business’s policies, we can identify and eliminate potential chargeback triggers so merchants avoid chargebacks and related fees. Besides adhering to business best practices, merchants who engage in affiliate marketing need to also be on guard against affiliate fraud. While affiliate marketing can drive traffic and increase business for the merchant, it’s also a tempting target for fraudsters who use unethical sales practices to generate unearned commissions. The big problems come once cardholders realize they’ve been victimized by affiliate fraudsters. They’re likely to file chargebacks—ultimately turning the merchant into the victim. Chargebacks911’s Affiliate Fraud Shield™ can help identify campaign threats before they become liabilities, preventing unnecessary chargeback fees. Obviously, not receiving chargebacks at all is the ideal … but as long as the system exists, it’s possible that cardholders will dispute transactions, particularly in response to criminal fraud. When that happens, the best a merchant can hope for is to learn about the chargeback before it’s actually filed. That’s where chargeback alerts come into play. With an alert program, participating issuers will give the merchant advance warning that a chargeback is being filed. 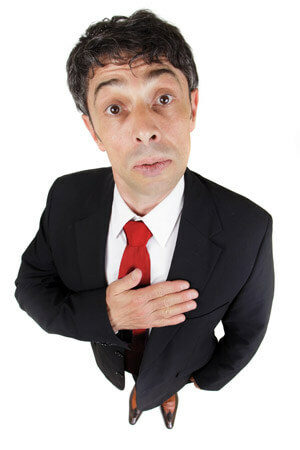 The merchant, in turn, has the chance to refund the cardholder before the actual chargeback is issued. The merchant still loses funds and/or merchandise, but no chargeback fees will be assessed. The benefits in terms of both revenue and reputation are significant, but only if the alert provider has working relationships with the majority of banks. Chargebacks911 offers the broadest chargeback alerts network on the market, partnering with more issuing banks than any other service provider. Too many merchants assume chargebacks are inevitable, and that chargeback fees are simply a cost of doing business. While they may find the situation unfortunate, they also consider it unavoidable. With expert chargeback help, though, it’s possible to stop this loss source in it’s tracks. The vast majority of chargebacks are preventable. Fraudulently filed chargebacks—if correctly disputed—can be reversed. Contact Chargebacks911 today to learn more about our comprehensive chargeback remediation services.